The Ultra-Fast Interrupter was designed by WKS Informatik GmbH with the purpose of helping your test setup comply with the strictest LV 124 and LV 148 automotive norm requirements, like E10 and E13. 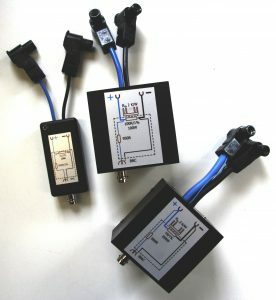 Now available in 2 hardware layouts, for 75A and 125A, it covers a wide range of DUT current needs. Through its control capabilities, the UFI is fully capable of being integrated in the RTStand LV124 fully-automated testing systems, as well as in other test setups, which require very short interruptions of signals.